EPD Captain Steve Watson, right, and Sgt. Gary Whitmer talk during the investigation of an officer involved shooting that took place near EPD headquarters around 5 p.m. Tuesday. 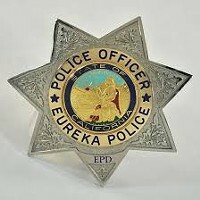 Clayton Lee Lasinski, the 26-year-old suspect shot by Eureka police officers Tuesday evening, remains hospitalized but is expected to survive, Eureka Police Chief Andrew Mills said at a press conference this afternoon. Lasinski was shot once through the chest, Mills said. And Mills said that while it's clear Lasinski brandished a handgun at officers at multiple points during the pursuit yesterday,he's not sure if the suspect ever fired the weapon. 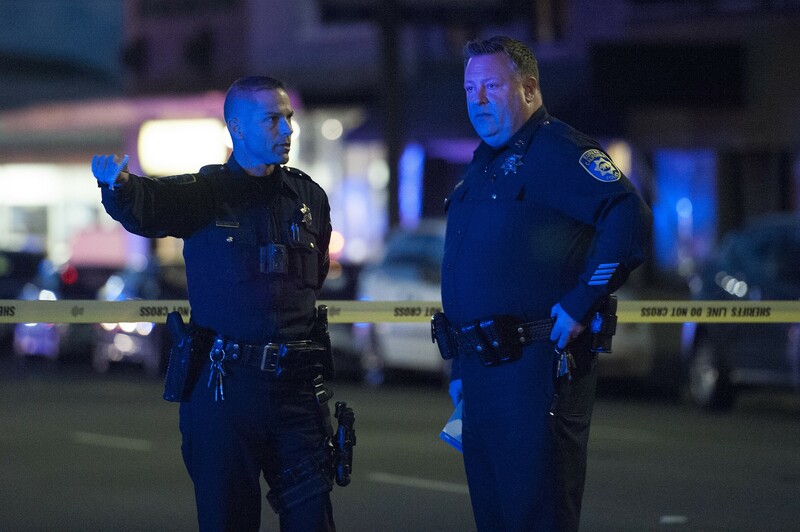 Mills said the officer involved shooting incident that gripped Eureka yesterday began with a simple traffic stop by a California Highway Patrol officer who saw Lasinski roll through a stop sign when turning onto Fourth Street. When the officer attempted to pull Lasinksi over, he allegedly turned into the Best Western at Fourth and Commercial streets, ditched his car and two female passengers in the parking lot and fled on foot. Mills said a couple of Best Western employees attempted to detain Lasinski, but he told them he was “strapped,” pulled a handgun and ran off, jumping a fence en route toward Fourth Street. Mills said the CHP officer then put out an emergency call for assistance, reporting that an armed suspect had just fled the scene and offering Lasinski’s description. 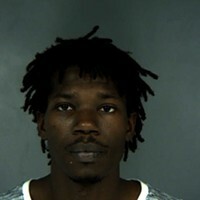 Calls came in to police dispatch reporting sightings of Lasinksi near Roy’s Auto Center on Fifth Street. An EPD officer then spotted him travelling easot on Seventh Street and pursued him on foot. 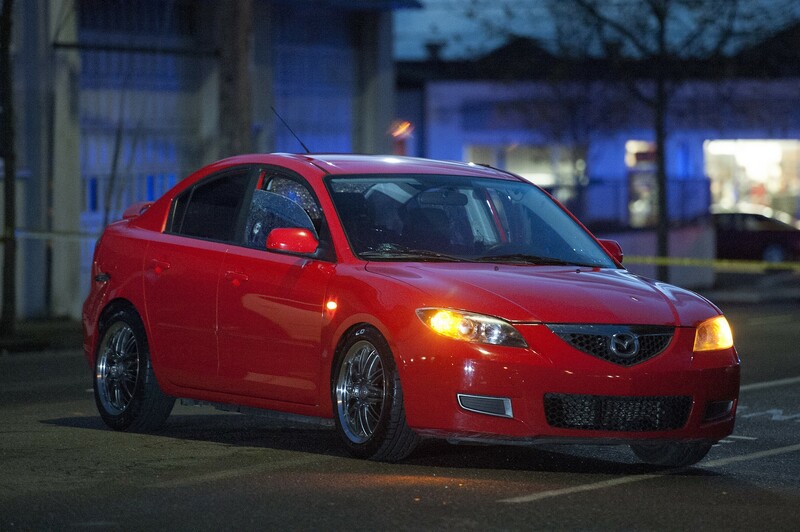 The red Mazda allegedly stolen from Sole Savers and abandoned about a block away. Lasinksi then turned into the Sole Savers car lot at Seventh and A streets, where he jumped in a red Mazda that was left running on the lot, according to Mills. Here, shots were fired for the first time during the incident, the chief said. 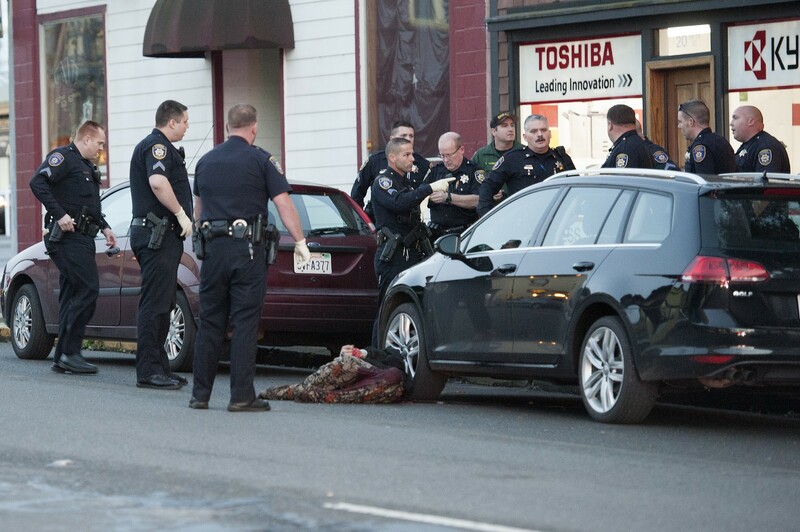 Lasinkski then allegedly fled in the Mazda, turning onto Sixth Street, where he drove against one-way traffic for less than a block before abandoning the car at the intersection of Sixth and B streets. Mills said it’s unclear whether the car died at that location or Lasinski simply decided his chances were better on foot. A number of EPD officers then picked up a foot pursuit of Lasinski, Mills said, chasing him northbound on B Street until he turned west on Fifth Street. Shots were fired at several locations along this route, the chief said, though he didn't specify by whom. Lasinski ultimately stopped his attempt to flee on Fifth street about halfway between A and B streets, where he leaned against a black Volkswagen. He stood there until he collapsed and was handcuffed by EPD officers after they pulled what Mills identified as a .45 caliber semi-automatic pistol from his hand. He was then loaded onto an ambulance and transported to a hospital where he underwent emergency surgery. Officers secured the scene before clearing medical personnel to respond to help Clayton Lee Lasinski, who was shot by police after allegedly brandishing a firearm at officers. Mills said it remains unclear if Lasinski fired his handgun during the exchange — which stretched through multiple crime scenes spread across more than four city blocks — though he brandished the gun at officers numerous times. When officers pulled the gun from Lasinski’s hand, Mills said it had a full clip with the hammer cocked back in firing position, which he took to mean he’d either fired his clip empty and reloaded, or the gun had malfunctioned and not fired at all. A total of four EPD officers fired shots during the incident, Mills said, declining to identify the number of shots fired this early in the investigation. Witnesses interviewed by the Journal reported hearing anywhere from six shots to more than 20 during the incident, which lasted a little more than 10 minutes. Mills said the four officers will remain on administrative duty until he clears them to return to the field. Stressing at multiple points throughout the press conference that this investigation is in its infancy — with the officers yet to be interviewed, camera footage yet to be reviewed and witnesses yet to be contacted — Mills said it will be thorough and objective. It is being conducted under the county’s Critical Incident Response Team protocol, which assigned EPD senior detective John Gordon and District Attorney investigator Marvin Kirkpatrick to lead the effort. Mills asked anyone in the community who witnessed part of yesterday’s incident to contact the Eureka Police Department to report what they saw and aid the investigation.